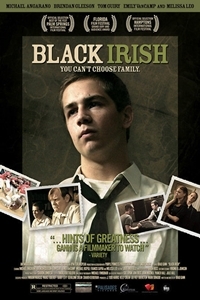 Sixteen-year-old Cole McKay's struggle for independence is put to the test as his South Boston Irish-Catholic family implodes around him. Older brother Terry is descending into a life of drugs and crime, pregnant sister Kathleen is being sent away to cover the shame of unwed motherhood and Cole's father, Desmond, spends his days in a fog of alcohol and self-pity, silently torturing himself over what might have been. The one thing keeping young Cole's head above water is his love of baseball. A talented pitcher, Cole overcomes self-doubt and family indifference to fight his way into the state championships. To get there however, he must make a life and death decision, a decision that will change the McKay family forever.